Perform Double Flawless Victory and a Stage Fatality if you see a shadow fly across the moon on the Pit Stage. 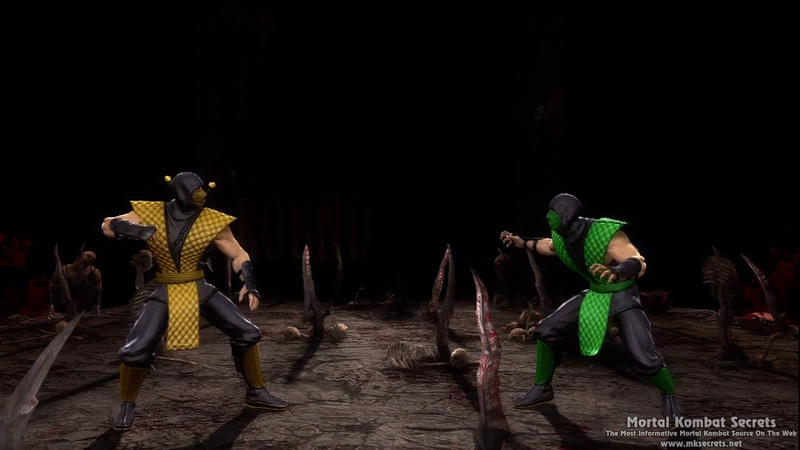 After the battle is over you will be taken to the Bottom of the Pit where you will have to fight the version of Reptile from the original Mortal Kombat 1 (1992). 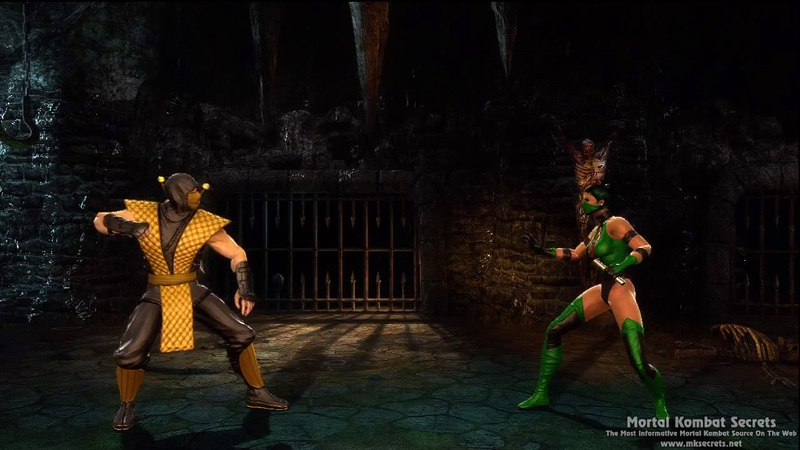 His Special Moves include Scorpion's Spear and Sub-Zero's Freeze among others. Our Tip: If you do not see the shadows (the witch or santa) fly accros the moon during the first 10-15 seconds of the round, just restart the match by selecting a new fighter and try again until the shadows appear. If you don't want this to be counted as a lost match, defeat your opponent and select a new fighter when Finish Him/Her shows up. Press the Back-Button (XBox 360)/Select (PlayStation) + Down when Smoke appears behind one of the trees in Living Forest. 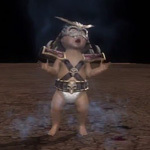 Your opponent will be immediately killed and you will have to fight against Klassic Smoke. 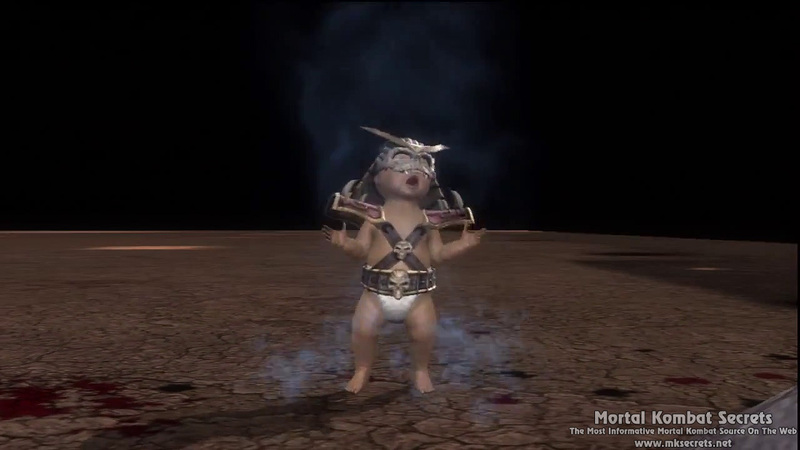 This version of Smoke has a spear and is similar to Smoke from Mortal Kombat II. You will get 2000 koins for every round you win against him. Our Tip: If Smoke does not show up during the first 10-15 seconds of the round, just restart the match by selecting a new fighter and try again until he does. If you don't want this to be counted as a lost match, defeat your opponent and select a new fighter when Finish Him/Her shows up. 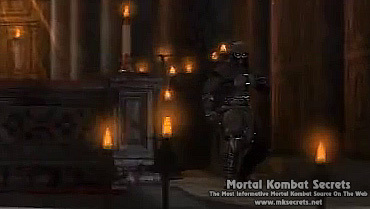 Defeat your opponent without Blocking if you see Noob Saibot standing on the right side of the alter in the Church. 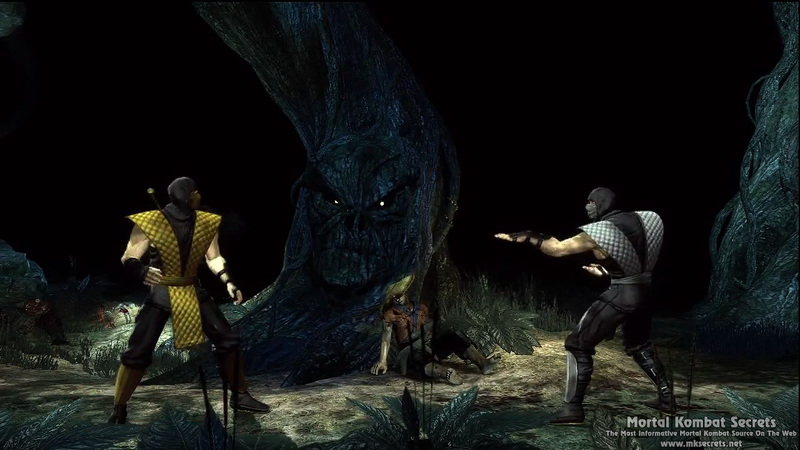 Noob Saibot will be there at the begining of the round or not at all. He will stay on the screen until you use Block. This Noob Saibot will be all black, just like in Mortal Kombat II and Mortal Kombat 3.  Our Tip: If Noob Saibot is not on the arena at the begining of the round, just restart the match by selecting a new fighter and try again until he appears. If you don't want this to be counted as a lost match, defeat your opponent and select a new fighter when Finish Him/Her shows up. Reach Shang Tsung without loosing even a round. Perform Double Flawless Victory and Fatality while fighting Shang Tsung. Tip: If you get hit by Shang Tsung, defeat him and when "Finish Him" appears select a new fighter, this way you will be able to try again. This version of Jade will use Kitana's fans, just like in Mortal Kombat II but will have Jade's Ultimate Mortal Kombat 3 outfit. You will get 5000 koins for every won round against Jade. 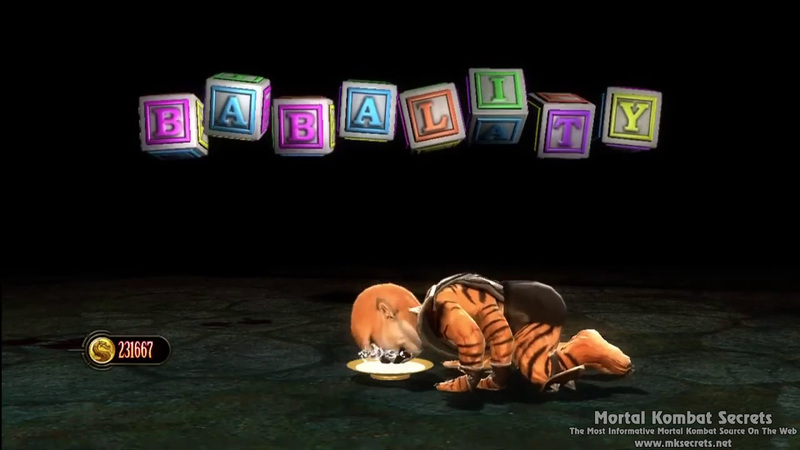 Perform a Babality on every fighter in Arcade Ladder without loosing a match. 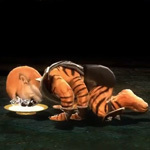 When you reach a boss characters, Babalities will be performed automatically on them when you win the match. 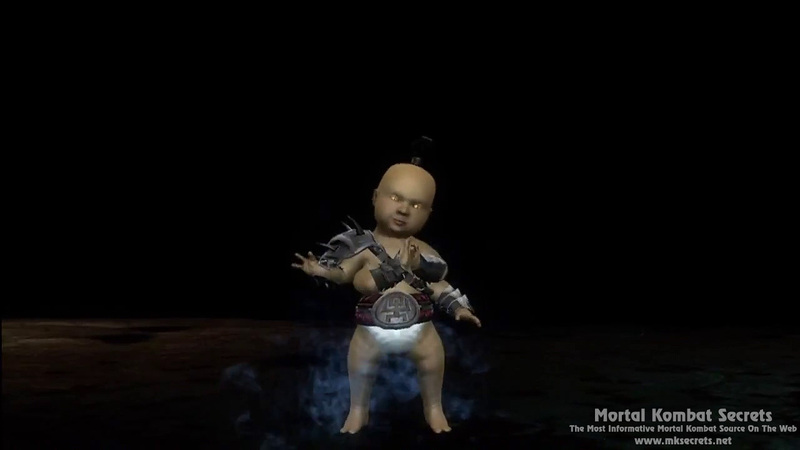 Don't block an attack during the final round against the boss character, just as if you are going to perform the Babality manualy. On the VS screen (in 2 player mode), you can cycle through the 6 symbols. The numbers below are the number of times you need to change the symbol. 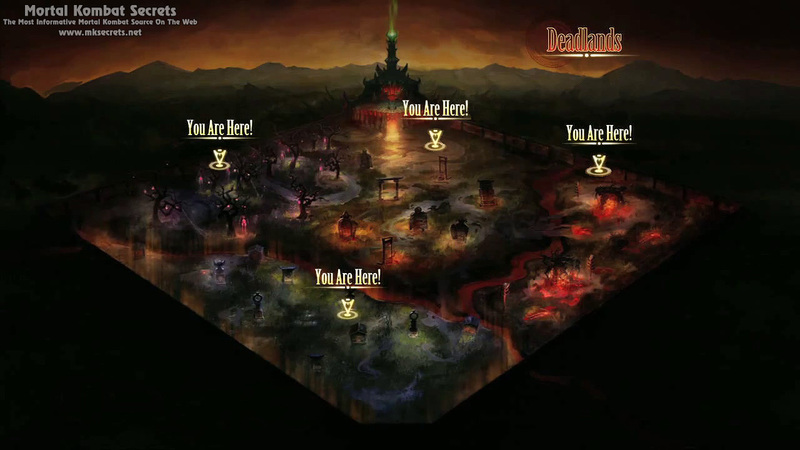 - Hollow of Infestation (SEC2): Go to the start of the area (near to river) and follow the wall along six heads. 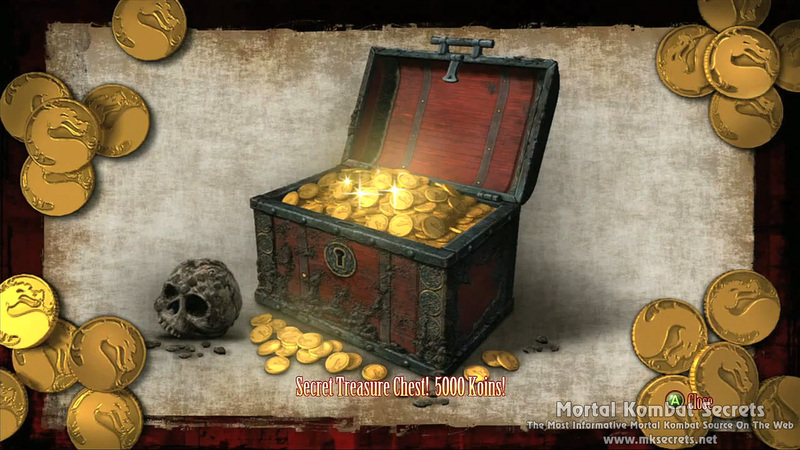 The way of reaching this Easter Egg is not entirely clear yet but if you spend a good amount of time in the Krypt chances are that you have seen it and most probably jumped right off you chair, at least the first time. Try waiting still for a couple of minutes and it might just show up.